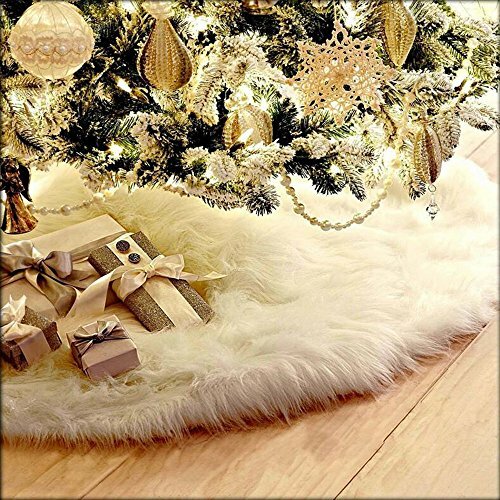 Material: Plush / Non-woven .Gorgeous and elegant white faux fur tree skirt, very plush and warm soft, pets favorite place in winter Christmas. The faux fur was well constructed and dense enough to create a wonderful snowy effect beneath the Christmas tree. Package include: 1 Pcs Christmas Tree Skirt .Perfect Christmas tree skirt to dress your tree and add a special touch to your holiday decor for years to come. If you have any questions about this product by SLZZ, contact us by completing and submitting the form below. If you are looking for a specif part number, please include it with your message.